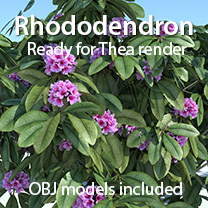 Seven Rhododendron bushes ready to render with Thea renderer. You will need Thea render for SketchUp installed. 4 flowering bushes and 3 without flowers. 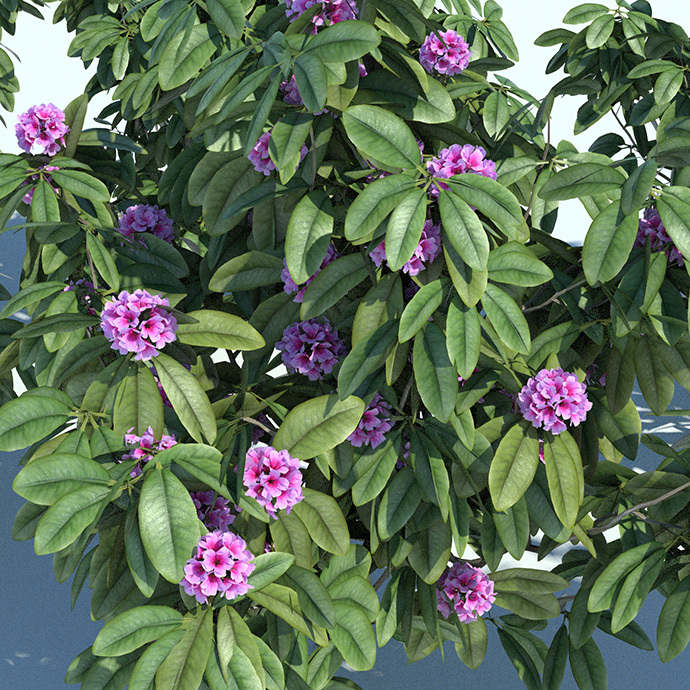 Flowering bushes are approx 200.000 polygons each and bushes without flowers are approx 50.000 polygons. Hight of bushes are about 1 meter. OBJ models and textures included for other rendering engines. Please observe that there is no skp files in this pack.